I’ve talked a bit about how much of a fast-tracked labor of love Volume 0 was for everybody involved, so while I won’t rehash it too deeply here, I do want you to keep that fact in mind, so that you’ll understand how absolutely insane I was to also write a fresh story for it. Some background. When James Lawless (eventual co-editor) first pitched me the idea of writing Worlds of Power books, he pretty much leapt right for Marble Madness, and I just as quickly grabbed Battletoads. 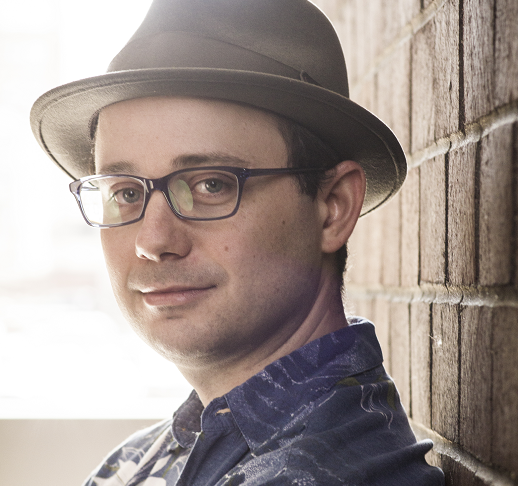 Then we opened the idea of a collection up to many authors…and potentially opened ourselves up to failure, as well. I can’t speak for James, but I was worried that we might not get enough usable content to justify a book. It’s not that I thought only myself and my co-editor would be uniquely qualified to write novelizations of long-forgotten NES games…I was just slightly afraid that the folks out there who could do the best work wouldn’t even know it existed. Fortunately we ended up with a massive swirl of coverage, and great authors (with great stories) found us just fine. But I didn’t know that that would happen, so I was already formulating a plan B. Maybe, I figured, if we get a few good stories, James and I can write a few more, and then we’d have a decent-sized volume. I didn’t want to resort to that, but if push came to shove, I’d have to do something. So I started to brainstorm ideas. Something I could write in a relatively short time (since we wouldn’t know if we had enough usable material until the submission deadline passed), and something that would also be worth reading. 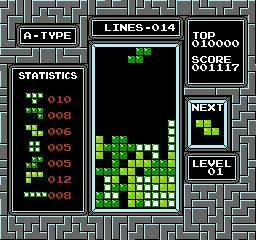 That’s when I got an idea for novelizing Tetris. See, I’d just finished writing Detective Fiction around that time…a much more serious kind of comic novel than anything I would have dreamed of writing for this collection. And because that story was a bit more “grounded,” I had a lot of silly detective jokes left over. Things that I thought were funny, but that I knew didn’t belong in that particular story. 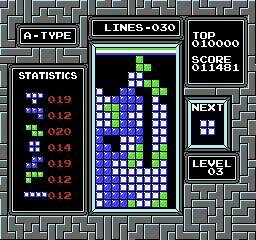 I thought I’d write “Tetris” as a detective story in which the game doesn’t figure at all; the only connection is that the detective’s last name is Tetris. That was pretty much the entire joke, and I’m under no illusion that it was a great one. But I figured I could write a satisfying enough mystery that people would enjoy reading it, and, hopefully, the utterly po-faced commitment to the gag would be enough to carry a lame joke further than it strictly deserved to go. Or, I guess, the joke was that Tetris obviously had no story and no characters whatsoever, and was therefore either impossible to novelize or extremely easy to novelize…either way because you didn’t have any mandatory touchpoints guiding your hand. Or — or! — maybe the joke was that some hack writer was commissioned to novelize Tetris, and rather than do even cursory research into the damned game he changed the name of the protagonist in some dusty manuscript of his and cashed his check. Potentially, there could have been a few levels to the humor, but, either way, I didn’t end up writing it. And I’m glad. Glad because I didn’t really want to, and even more glad because that meant we had so many good pieces, we were worried more about trimming down than beefing up. 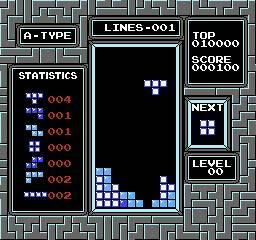 When Volume 0 as an idea was floated, I wondered about “Tetris.” I still didn’t want to write it, but it surfaced in my mind. A few times. And one of those times, for better or for worse, it surfaced in tandem with Flatland. Flatland is a favorite novella of mine, and I knew James was a fan as well. It’s a philosophical / mathematical / sociological / spiritual / cautionary hallucination of a book, about a sentient shape (A. Square) in a land of sentient shapes. To say more would detract from at least some of the incredible sense of discovery that comes with reading it, but when the idea of a world of living shapes came to mind alongside my basic idea for a noir-tinged “Tetris,” things snapped into place. A plot filled itself out. Characters introduced themselves to me. Themes came flooding in. It was no longer a stupid joke I hoped I didn’t have to tell…it was a story I genuinely, and urgently, wanted to write. I actually told James my idea in the hopes that he’d (rightly) slap me and say we’re already short on time, and can’t afford to add more work to the pile. Instead, he insisted I do it…even though it meant he was up in the wee small hours of the morning, copy-editing the stories that I couldn’t get to because I was too busy writing. In the end, I’m actually very happy with it. I was building toward something, and then, for whatever reason, I ended up feeling pulled in another direction. I scrapped most of what I’d written, and started again, because the new direction was a richer one, and I wanted to do it justice. That game with no characters or story was surprising me with how actively the characters and story pulled me along. 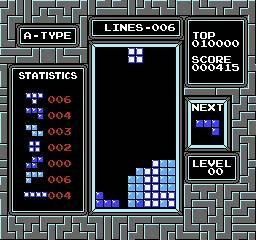 As a writer, that’s always the most pleasant kind of surprise, and I can safely say that Tetris was the most surprising place to find it. It’s something that I hope you enjoy. I hope you enjoy the entire book, of course, but I came out of the writing experience feeling immensely satisfied. And I hope at least a few of you will be, too. Thanks for sticking with this, and thank you — all of you — for your support. Grab it while you can. I think you will like it. Flatland + noir sounds like a fantastic combination; I can’t wait to read it. I just got Volume 0 today so I haven’t had a chance to look deeply at it, but it looks terrific! Well done! I am now telling Phil exactly what he can with a lifetime supply of new directions. What? Flatland? That’s a great idea! I don’t think you realise, Phil. What have you done? Now I need the detective Tetris story!!! Looking forward to reading this (and all the others) after payday! Thanks, everyone! I’d love to hear from anyone who’s read it (or any of the stories, actually). A few folks have gotten in touch with some very kind words, and that’s awesome, but all feedback is welcome and it may even help us to make the main volume the best it can be. Your support is very much appreciated, and if you haven’t grabbed it yet, you have just over a week!